Cobs Bread Franchisee Collin Nyberg. 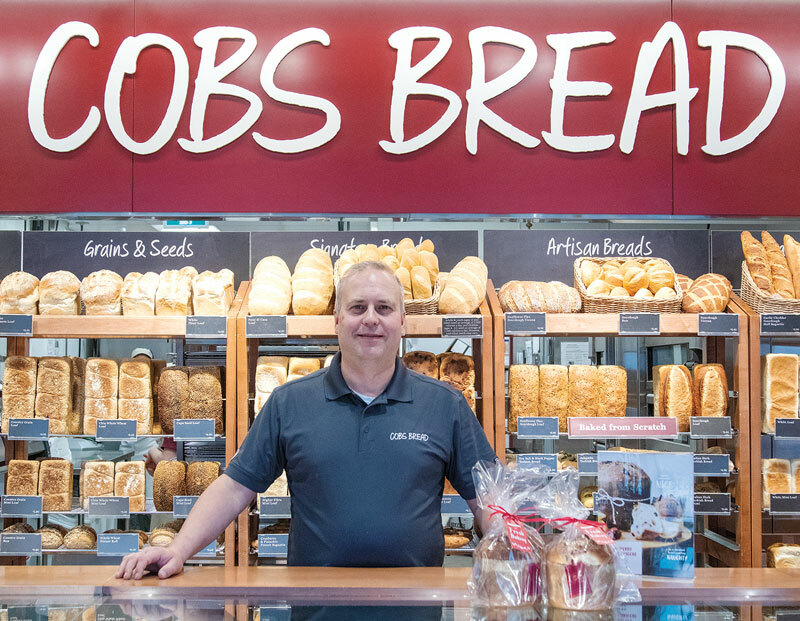 Starting work as early as 2 a.m. was just one of the many challenges Collin Nyberg faced when he switched jobs from System and Network Administrator with the Town of Olds to Franchisee of Cobs Bread at Chestermere Station. “It was certainly somewhat of a challenge, there is a lot to learn,” said Nyberg. After months of 16+ hour days, Nyberg is slowly starting to get some free time back into his life as the bakery marked its one year anniversary on November 29. Despite the long hours, Nyberg, who has been a Chestermere resident for three years, doesn’t regret his choice to open a small business here. After Nyberg’s term with the Town of Olds came to an end, he knew he wanted to do something different and preferably his community of Chestermere. “We were interested in something that we could do here, not because it was close to home but more because Chestermere is a growing community,” he said. In the end they decided that a bakery was something that Chestermere needed. They started the process to become a franchisee and after completing the vetting and training process, the couple opened their bakery in November 2017. “Through that I learned how to do the baking, manage the cost of goods, payroll and all the business kind of things,” he said. Even after all that training it has been a steep learning curve as Nyberg has worked to attract, train and keep the best staff for this bakery. Nyberg is planning to spend his second year in business working to become more involved in giving back to the community. “Maybe I’ll look at getting Cobs involved in some of the events that the city puts on, like Water Festival and that kind of thing,” he said. He is also planning to continue donating buns to the city’s Block Party program, however rather than just give the donation, Nyberg wants to attend and start meeting more Chestermerians. “Maybe we can find some things that they’re doing that would be a good fit for Cobs to help out with,” he said.